Everyone who is anyone in the banking software space wants to do business in Asia, and for a good reason: the region is as buoyant as ever. The established markets are getting even more sophisticated in their technology consumption (if you are in Singapore, why not try out an NFC-enabled wristband to pay for your commute, travel, shopping and eating out?). Meanwhile, new markets – such as Myanmar – emerge with funding poured into them and the appetite to modernise and adopt international best practices. Myanmar is a place to be these days – with the World Bank, Japanese government and corporates sponsoring a plethora of projects, big and small, including in the financial services space. Banking software heavyweights such as CR2, Misys and Oracle FSS can be spotted there, (quite successfully) hunting for new clients. When a country starts practically with a blank sheet of paper, all technologies are in demand. Elsewhere, countries such as Indonesia and Vietnam continue to bring a steady stream of business. In Vietnam, the central bank is leading by example with its enterprise-wide IT overhaul, sponsored by the World Bank and underpinned by Temenos’ T24 core platform. Indonesia has the world’s largest Muslim population, but its Islamic banking segment comprises just 5.5 per cent of the country’s overall banking market. No wonder the Islamic banking software providers are looking at the market with hope. 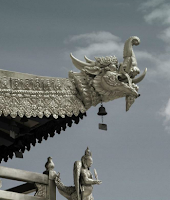 IBS Intelligence's latest Supplement – Banking Technology in Asia – is hot off the press. In this free Supplement we have brought together all the latest happenings from across the region, from the nascent fintech market of Tajikistan to its high-tech counterpart in Hong Kong and everything in between.